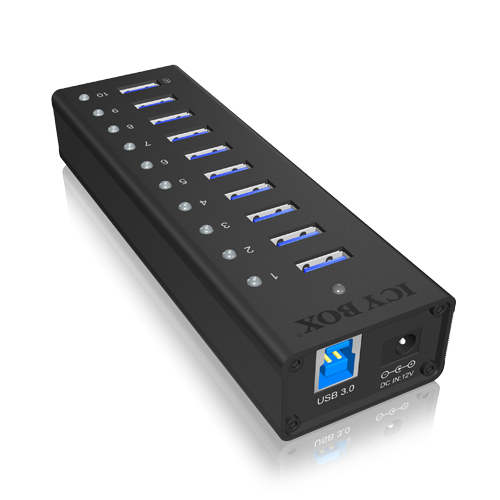 • 10x USB 3.0 Type A connectors incl. First: Faster, Second: tenfold, Third: Charging! USB 3.0 has a bandwidth of up to 5 GBit/s. 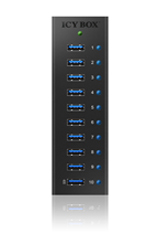 With this hub you can use the fast USB 3.0 for ten devices. 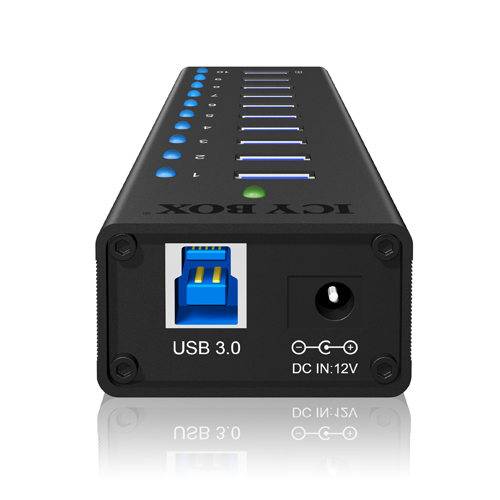 USB 3.0 is downwardly compatible, it works with USB 2.0 cables and devices (with their transfer rates). Fjöltengið (e.hub) fjölgar USB tengjunum úr 1 í 10 og því auðvelt að tengja fleiri tæki við tölvuna, t.d. flakkara, prentara, skanna og fleira. Tilvalin lausn þegar öll USB tengi tölvunnar eru í notkun. Þessi gerð er fyrir USB3.0 en virkar þó einnig fyrir tölvur með USB2.0 tengjum. 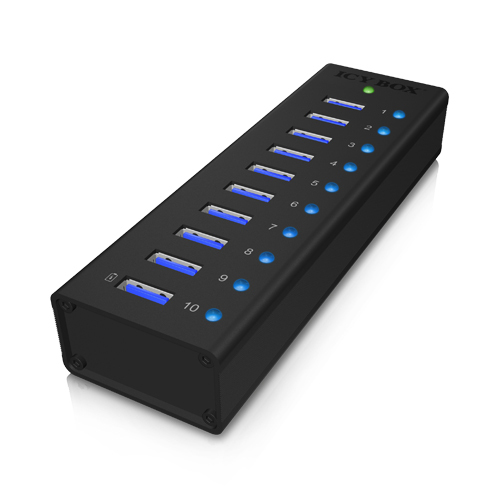 Gagnaflutningshraði USB3.0 er tífaldur miðað við USB2.0.